We’re treated to more action than usual, with a fight scene, murder, new film to watch, and snappy montage of an SS officer dressing. But worry not, for there’s plenty of slow, meaningful characterization as well! Beyond its high concept packaging, TMITHC continues to investigate the emotional toll of wartime decisions. How does a man or woman choose to take a life? How can they? Is kindness weakness, our an interest-accruing deposit in the cosmic savings account? Our young trio of Joe, Frank, and Juliana don’t do much by way of action. Yes, we get a dope action sequence as Frank and Joe escape the Yakuza with the latest film, but it’s short and to the point. Not to mention, wouldn’t have happened at all if not for the fact that Joe knows he, and everyone he loves, would be killed if left behind. They’re a new sort of anti-hero (neutra-hero?) for modern television: The opposite of love isn’t hate, it’s indifference. And the opposite of a hero isn’t a force of chaos: It’s just some dude. They’re never quite right or wrong—perfect, or evil—but stand on the uncertain middle ground, balancing their base instincts with basic humanity. Everyone’s just trying their best! 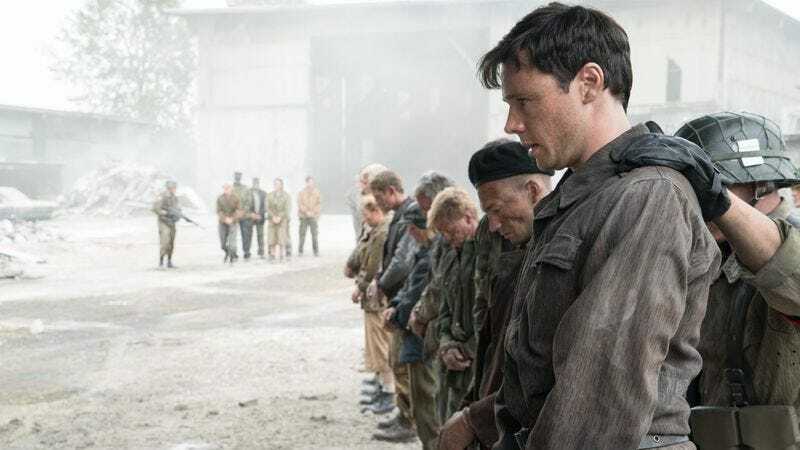 The Trade Ambassador realizes the damage he may accidentally cause by slipping the German bomb schematics into his peoples’ hands, in a scene reminiscent of Einstein’s own regrets about his own involvement in the decision to deploy atomic bombs. Cary-Hiroyuki Tagawa continues to blow his scenes out of the water, instilling his character with an unplumbable depth. There’s an undercurrent throughout TMITHC of the notion that the “good” guys don’t simply get to win—the Allied powers, while “right,” still lost. It’s a leveling blow to one’s sense of right and wrong, and questions the value in morality when there are no guarantees it will be rewarded. That’s why these glimmers of shared humanity (in this case, Tagomi’s regret paralleling Einstein’s) re-instill a sense of hope. The world isn’t as simple as good guys vs. the bad ones; it’s people vs. other people. We live in shades of gray. It’s hard to judge this episode before watching the next, as we ramp up to the finale. So, onward! Questions: The German guy in the wheelchair is Smith’s brother, I assume? Is Ed supposed to read as possibly homosexual, but extremely closeted? Or is he a good friend? Fears: Oh God, it really is time travel? Last thing: I didn’t realize how bizarre seeing no injured or handicapped people all season was until I noticed myself consciously thrown by two, consecutive wheelchair-bound men.